The demolishing of homes, animal shelters and water tanks in the Jordan Valley over the past two months has resulted in heart-break for many families for whom life was already incredibly hard. In the unforgiving environment of 40 degree heat and little water, families have managed to thrive, herding sheep and goats, and growing the crops they need to survive. EAs have interviewed many families who have suffered ongoing injustice, and the reports are forwarded to agencies which oversee this violence perpetrated by the Israeli Army and work to protect the rights of the farmers involved. 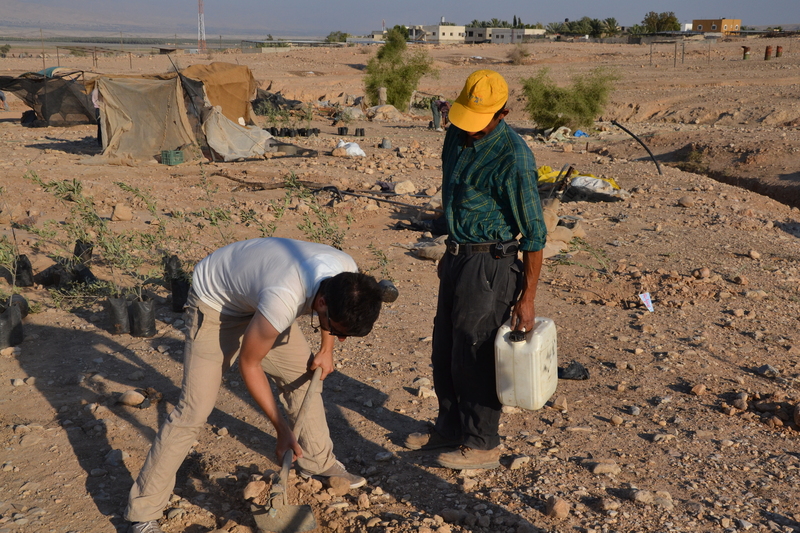 Jordan Valley Solidarity planned a tree planting demonstration, to show solidarity with the farmers who have been so cruelly abused. We at EAPPI were invited to join them. Crude picks and shovels blistered our hands as we dug through the rocky soil. Very hard work, we were able to see, first hand, the effort that must be put in, to encourage this harsh land to produce crops. Side by side, along with the Palestinian farmers, we supported this act of resistance. 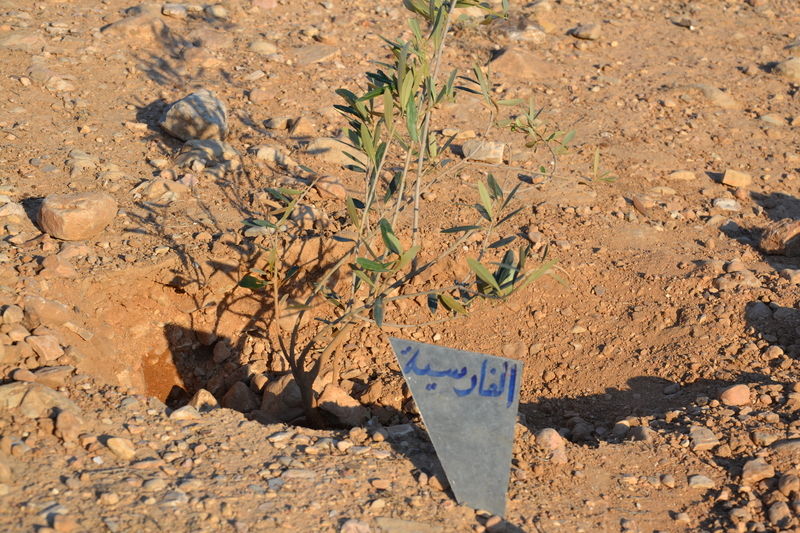 The planting of this tree states that this is their land and they are determined to stay. There were also moments of joy. 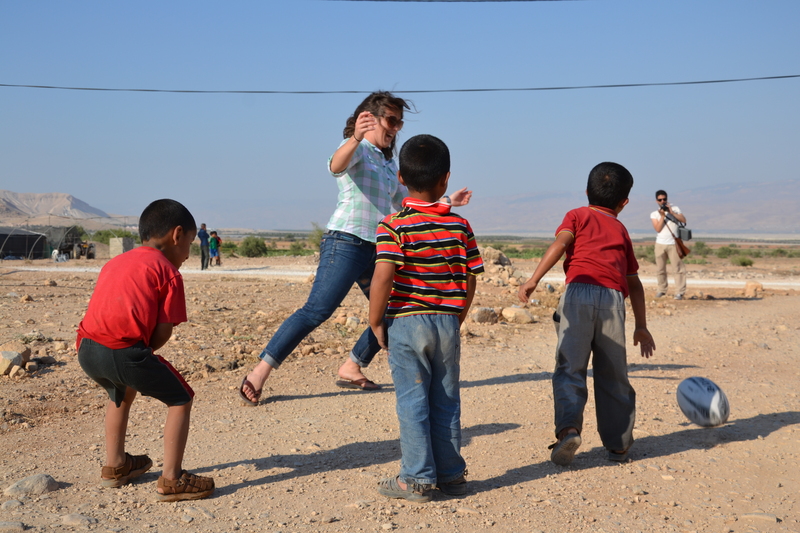 EAs, Ben (Switzerland), Anna (England) and Mikko (Sweden) ,along with volunteers Charlene (Canada) and Jeremy(Switzerland), played rugby with the children during a break from the tree planting. 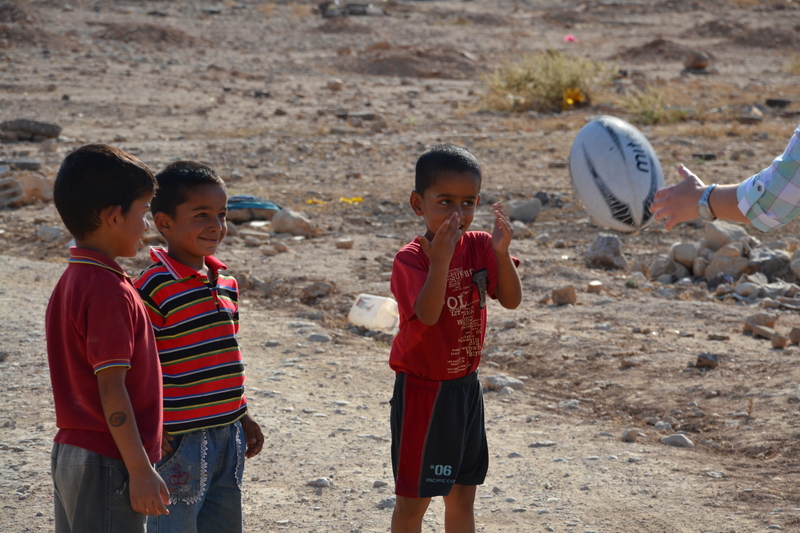 While most of us cannot imagine playing rugby in 40 degree weather, we can imagine the fun you had with the children. I believe I saw Micko and Anna in the photos. EA’s having fun is a delight with all they, you, experience and observe as you accompany regular folk in everyday tasks. Once again, thanks for showing what planting trees looks like in dry, dry soil. Bless your hearts for what you are doing. Most of us cannot even imagine the challenges and frustrations that you face every day. Pat take care and come back safely. I’m counting the days until you return.